An Ariane 5 rocket took off from a space port in French Guiana early Friday. PARIS (Sputnik) — An Ariane 5 rocket fired into the sky from a space port in French Guiana early Friday to take US and French telecom satellites to orbit, the European Space Agency (ESA) announced. "Ariane5 has lifted off from the Spaceport! The heavy-lift launcher will deploy ViaSat-2 and EUTELSAT 172B over a 41-minute mission," the ESA tweeted. 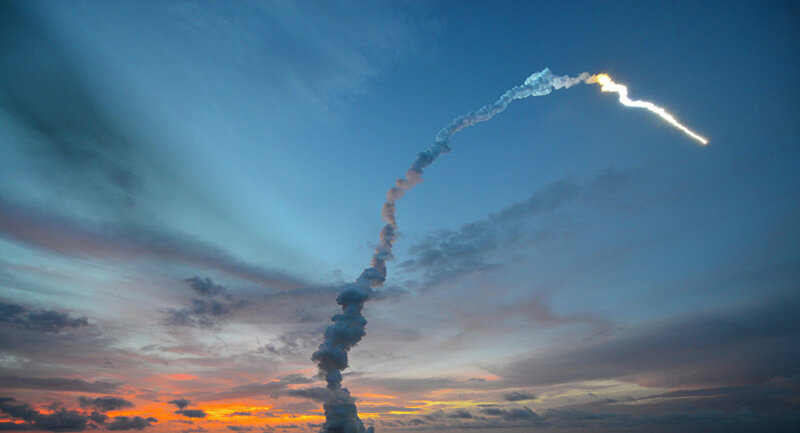 The 173-foot-tall launcher blasted off from a launchpad near the town of Kourou at 8:45 p.m. French Guiana time (23:45GMT). This is the sixth successful launch from this space port since the start of 2017. Separately, the NASA said late Thursday it had scrubbed the launch of a SpaceX Falcon 9 rocket with a Dragon spacecraft on board due to weather. The next attempt is scheduled for 5:07p.m. Eastern Time on June 3.